It's almost Mother's Day, and Lookin' Marvelous with Merlyn has teamed up with Hudson Valley Parent Magazine to make the day extra special! ENTER HERE TO WIN A $250 GIFT CERTIFICATE TOWARD ANYTHING ON THE WEBSITE! 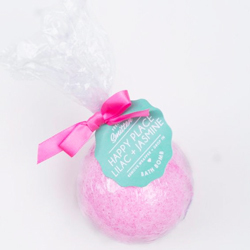 Add some FUN to your bath with a lilac and jasmine scented, handcrafted bomb that “explodes” in your tub to release a soothing, softening blend of Epsom salts and oh so sweet fragrance! No Preservatives * Paraben, Sulfate, and Phtalate Free. 6.5 oz. Soak up California vibes with the Capitola; this playful dress highlights the best of the beach town it's named after. Down-to-Earth and playful by day; seaside chic by night! Turn heads with this mesmerizing, beaded bracelet. 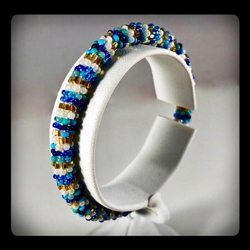 These seed bead roll-on bracelets are handmade in Kathmandu, Nepal by women, for women! Choose from an array of stunning colors to amp up any outfit! Bracelets are crocheted to have an inside circumference of 7 inches to roll over the hand and fit comfortably on most women. Who doesn’t love to open a box and find something a little sparkly? 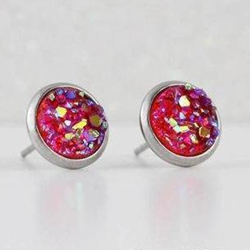 Handmade by A Tea Leaf Jewelry, these faux druzy earrings are sure to catch her eye! The fractured faux druzy stones, available in a variety of colors, are set in hypoallergenic stainless steel or gold-plated settings (nickel & lead-free). Drape yourself in spring! The Appleton Duster is royal style and comfy coziness all in one! It adds a luxurious look to any outfit, perfect for an evening stroll, the movies or even to just cuddle up in at home! 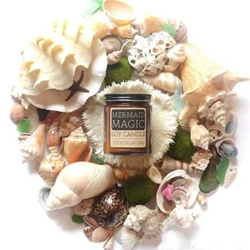 This candle is scented like sea salt and driftwood and is a perfect beachy smell for all those ocean dreams of being a mermaid. Each candle is in a 9oz amber glass jar with a black metal lid. They have a 70+ hour burn time and are made from all natural US soy beans. They are hand poured in Austin, Texas in small batches to ensure quality. What's better than cuddles and coffee? The Birmingham tank keeps it real; when life happens, just point at the top - and let the shirt speak for you!